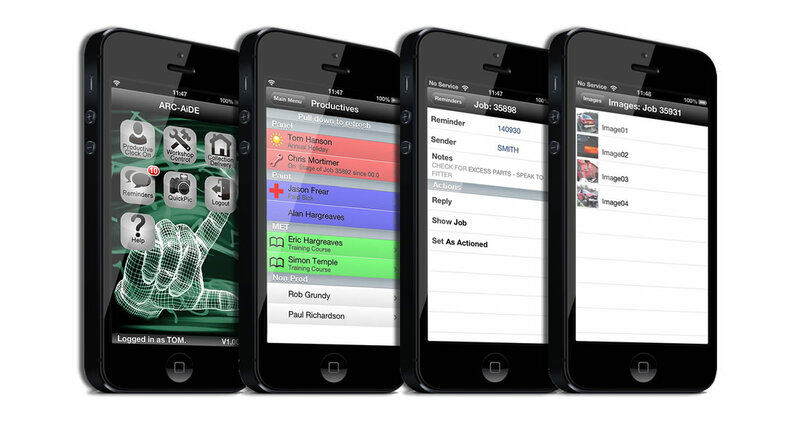 Workshop control in the palm of your hand. 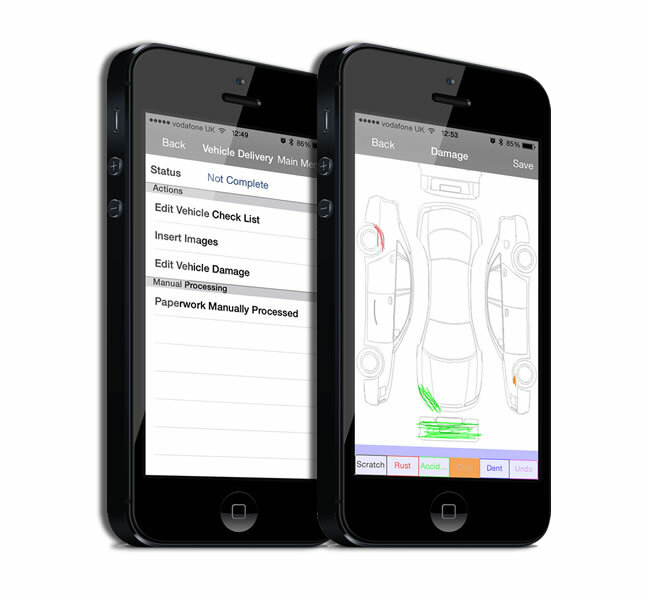 ARC-AiDE Application integrates with our Business Manager and Bodyshop Management Systems and takes your Bodyshop into a whole new world of managing your business. Now your workshop controller has the power of EMACS in the palm of their hand! Take a look at the features below for full details. Download Detailed ARC-AiDE App Features. Designed to aid the Workshop Controller, including the allocation of jobs to productive’s, amending times in repair stages and setting the repair status. This allows the workshop controller to spend more time on the shop floor and not be tied to the PC in his office. They can view a version of the control report called Jobs by Due Out Date which is displayed in the same order as the main system. Searching for jobs by Reg no, key tag or job number. Viewing of VIP Message and job comments. Facility to auto dial customer from the job, which prompts you to update job history with call details. Shows the status of the job. Facility to update customer and vehicle details. Stages on the job which can be amended/allocated/set as complete etc. Set reminders from the job, these are recorded in job history. Entering of manual job notes. Viewing of job notes can be filtered by category. View parts required / other charges for job that are colour coded by status. View supplementary request status from the job. View Jobs by due out date. 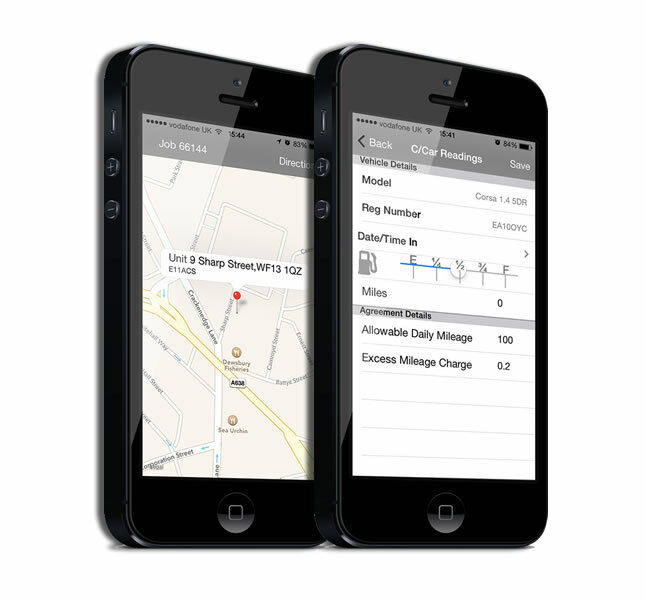 Primarily designed to aid delivery drivers, with the ability to perform vehicle collections, deliveries and courtesy car functions on the device, without having to take out paperwork .The customer’s information is available at a touch, including the diary notes for the customer, their phone number and address. ARC-AiDE can even dial the number for you. If your device is 3G enabled, you can click on ‘directions’ which will bring up Apple or Google Maps giving you verbal directions to the address. 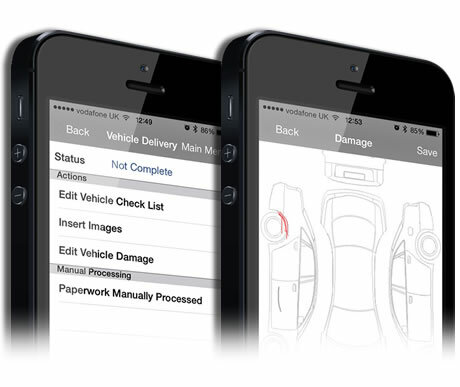 The app has a vehicle damage diagram to enable you to mark all accident damage, dents, rust, scratches and chips all colour coded with the facility to allow the customer to sign confirming the information. Take images of customer vehicle / courtesy car to record damage. Similar to collection/delivery but gives you the ability to check cars in if the customer drops the car off at the bodyshop. It will also show you vehicles due in for today and the next working day. You can also check vehicles out when the car leaves the site. All the check sheets will be attached to the job card the same as collection/delivery. Check-in / Check-out paperwork is attached to job automatically. Email courtesy car documents direct to customer email with electronic customer signature. 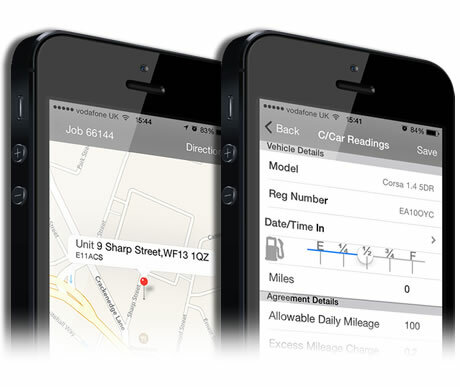 Take images direct to job card to record vehicle damage. Your device needs a minimum iOS8 and is no longer supported for Android Devices. Requires E.M.A. Computer Solutions Business Manager or Bodyshop Manager server version 7.00 or later. 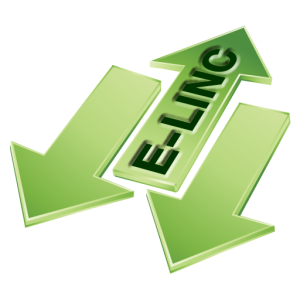 Please contact EMACS on 01924 463419 for full system requirements and details. Request a CALL BACK by filling in the form below and a member of our team will be in touch with you for a friendly no obligation chat. With over 50 years bodyshop experience, we understand your needs.